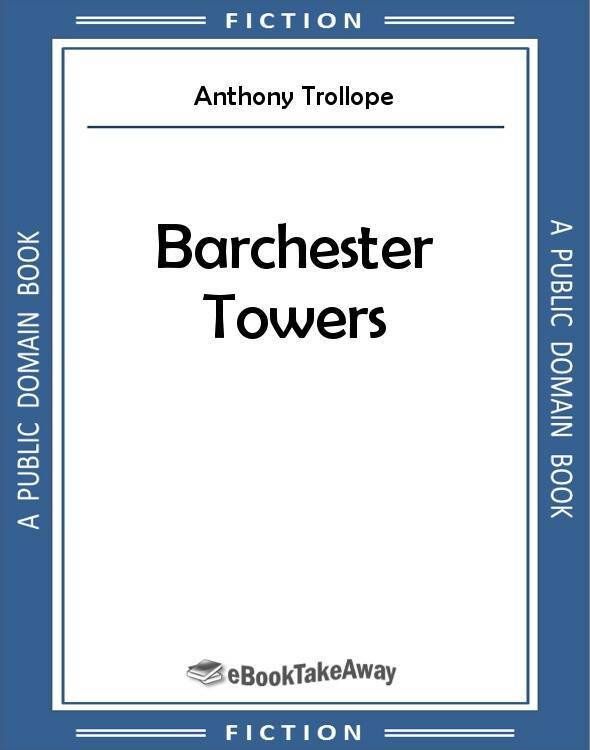 Download Barchester Towers by Anthony Trollope for iPhone, iPad, Nook, Android, and Kindle in PDF and all popular eBook reader formats (AZW3, EPUB, MOBI). In the latter days of July in the year 185, a most important question was for ten days hourly asked in the cathedral city of Barchester, and answered every hour in various waysWho was to be the new bishop? The death of old Dr. Grantly, who had for many years filled that chair with meek authority, took place exactly as the ministry of Lord  was going to give place to that of Lord . The illness of the good old man was long and lingering, and it became at last a matter of intense interest to those concerned whether the new appointment should be made by a conservative or liberal government. It was pretty well understood that the outgoing premier had made his selection and that if the question rested with him, the mitre would descend on the head of Archdeacon Grantly, the old bishop's son. The archdeacon had long managed the affairs of the diocese, and for some months previous to the demise of his father rumour had confidently assigned to him the reversion of his father's honours. Bishop Grantly died as he had lived, peaceably, slowly, without pain and without excitement. The breath ebbed from him almost imperceptibly, and for a month before his death it was a question whether he were alive or dead. A trying time was this for the archdeacon, for whom was designed the reversion of his father's see by those who then had the giving away of episcopal thrones. I would not be understood to say that the prime minister had in so many words promised the bishopric to Dr. Grantly. He was too discreet a man for that. There is a proverb with reference to the killing of cats, and those who know anything either of high or low government places will be well aware that a promise may be made without positive words and that an expectant may be put into the highest state of encouragement, though the great man on whose breath he hangs may have done no more than whisper that "Mr. So-and-So is certainly a rising man." Such a whisper had been made, and was known by those who heard it to signify that the cures of the diocese of Barchester should not be taken out of the hands of the archdeacon. The then prime minister was all in all at Oxford, and had lately passed a night at the house of the Master of Lazarus. Now the Master of Lazaruswhich is, by the by, in many respects the most comfortable as well as the richest college at Oxfordwas the archdeacon's most intimate friend and most trusted counsellor. On the occasion of the prime minister's visit, Dr. Grantly was of course present, and the meeting was very gracious. On the following morning Dr. Gwynne, the master, told the archdeacon that in his opinion the thing was settled. At this time the bishop was quite on his last legs; but the ministry also were tottering. Dr. Grantly returned from Oxford, happy and elated, to resume his place in the palace and to continue to perform for the father the last duties of a son, which, to give him his due, he performed with more tender care than was to be expected from his usual somewhat worldly manners. A month since, the physicians had named four weeks as the outside period during which breath could be supported within the body of the dying man. At the end of the month the physicians wondered, and named another fortnight. The old man lived on wine alone, but at the end of the fortnight he still lived, and the tidings of the fall of the ministry became more frequent. Sir Lamda Mewnew and Sir Omicron Pie, the two great London doctors, now came down for the fifth time and declared, shaking their learned heads, that another week of life was impossible; and as they sat down to lunch in the episcopal dining-room, whispered to the archdeacon their own private knowledge that the ministry must fall within five days. The son returned to his father's room and, after administering with his own hands the sustaining modicum of madeira, sat down by the bedside to calculate his chances. The ministry were to be out within five days: his father was to be dead withinno, he rejected that view of the subject. The ministry were to be out, and the diocese might probably be vacant at the same period. There was much doubt as to the names of the men who were to succeed to power, and a week must elapse before a cabinet was formed. Would not vacancies be filled by the outgoing men during this week? Dr. Grantly had a kind of idea that such would be the case but did not know, and then he wondered at his own ignorance on such a question.